If you are a start-up, small or medium sized organization, we provide monthly or quarterly full cycle bookkeeping for a fixed rate or a low hourly cost. We provide periodical financial statements to help you understand where your company stands and how it has grown. Let us handle the bookkeeping so you can focus on your business! No need to take time off to meet with us. We provide E-Services - where all correspondences are done via E-mail or safe-guarded file transfers. Located outside the GTA? Not a problem! 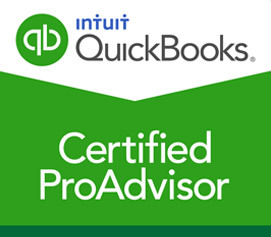 We perform bookkeeping for clients all over Canada and the U.S.
Have your own QuickBooks? Want to still be in charge? We offer monthly review and reconciliation packages that allows you to still enter and manage your accounts receivable and accounts payable; payroll and remittances; and data entry, while we oversee that it’s done correctly. We then reconcile all bank and credit card accounts, review payroll and GST/HST legers and provide feedback. We understand that "life happens" and in today's information era, business owners have become more involved and preoccupied with their daily tasks. If you have unfiled tax returns and months (or years) of incomplete bookkeeping, let us work with you to help get caught up and avoid collection calls. Demand Letters from the CRA? Need Financial Statements for Loans or Mortgages? Pile of Receipts and Invoices Becoming a Mountain? We can help with multiple months/ years. Are you a start-up? We can get you started by registering your company with the Canada Revenue Agency and Service Canada. Whether you have one or fifty employees, we can prepare your fixed salary or variable hourly paystubs, remittance reports and T4 filing. Whether you are a sole proprietor or a corporation, looking to keep your existing tax accountant or require tax filing, GCA works with you and your accountants- as a team- to ensure the best interest of your organization. We prepare tax agency reports for all Canadian tax agencies. We ensure that all transactions are allocated to the correct account ledger and are assigned to the correct provincial and federal tax agencies. Rules governing the assignment of tax codes frequently change, which is why our certified bookkeepers are trained to research new changes to taxation laws. GCA has performed numerous CRA reviews, audits, and notices of objections when it comes to ensuring our clients are fairly represented. Garnished bank account? We provide formal correspondences and negotiate with the auditor to release the frozen account, so you may continue your day-to-day banking. We also provide expedited bookkeeping and filing services to ensure the down-time is minimal and the agent(s) stop calling.